We live in a world driven by fame. The notion of ‘celebrity’ is rife at the heart of our society, and this hunger for a triple-threat lifestyle is brought to the stage in Fame The Musical. 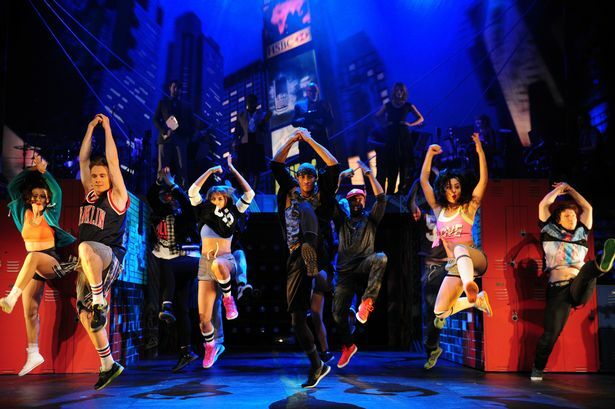 Based on the popular 1980 film, Fame explores the lives of students at the High School of Performing Arts in New York City. As each student learns to develop and expand their passions, their own journeys as artists widen to unveil new – and sometimes dangerous – horizons. The musical isn’t just a reflection of our demands for instant success. It explores the intricacies of the performing arts industry, and displays a strong appreciation for the arts. The high school setting is a compelling backdrop for a creative visualisation of commonplace ideology. At all times, the stage is rendered spectacular. There is such a splendid array of lights and colours that the music is really brought to life. With the intricate beauty layered with dancing, it is furthered to another dimension; director and choreographer Gary Lloyd has built up a masterpiece of a musical. In the foreground can be found an energetic set of performances from all cast members across the board. They take on powerful numbers such as Hard Work and Can’t Keep It Down, and make them appear effortless. And, of course, the musical would have been incomplete without an immaculate performance of the iconic song Fame, which was enthusiastically reprised several times with instant gratification. It is to be expected with productions that one or two cast members shine above the rest. However, this was never the case with Fame; the talent is widespread and rich in variety. Though, if pushed to apply focus to a select few, I’d undoubtedly have to mention, first of all, Alex Thomas. He portrayed Tyrone with immense passion and talent. Molly Stewart (Mabel) provided comedic interlude, and Landi Oshinowo (Miss Sherman) presented a heartfelt portrayal of her character. It was Jodie Steele who took on Carmen Diaz, arguably one of the musical’s most fascinating names, and emotionally moved the audience with her honest and effectual performance. There was expert handling of the characters and their developments throughout, thus enhancing the fluidity of the narrative’s progression. There’s an element of timelessness to the musical; the raw messages about striving for creative success is as valuable now as it ever was. Packaged into an eclectic arrangement of unstoppable theatrical talents, it’s an unmissable experience. Fame deserves its eternal spot in the limelight.